Last spring, I had the opportunity to review All About Reading's new Level Pre-1 program. We loved it. Marie Rippel has done an amazing job with All About Spelling (which I've talked about on here over and over and over) and that first hint of the All About Reading program was thrilling. I was eager for All About Reading Level 1 to come out... and late this fall, it did. I'll confess I really wavered about spending the money for my last learn-to-read child though, and when I had the chance to review it? Well, I cried. 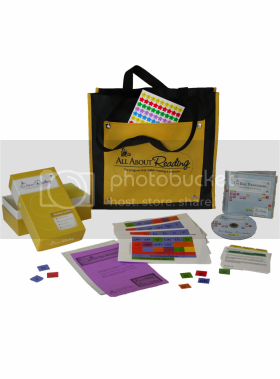 The basic Reading Interactive Kit is similar, but doesn't have the box for the cards, nor the tote, nor the star stickers. If I were buying this, the basic kit is what I'd purchase *if* I hadn't already used All About Spelling. 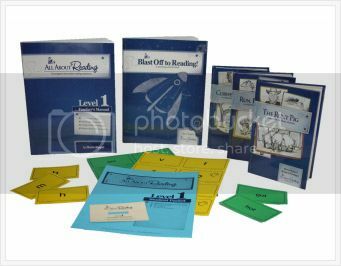 Having used All About Spelling with my boys, though, I would only "need" (and I could make do, but hey, it's only $3.95) the Reading Divider Cards. When thinking about the cost, though, one thing to keep in mind with the Interactive Kit is that it provides a few of the items you'll also need for doing All About Spelling. Once you do about half an hour of prep work with the materials (separating the cards and the letter tiles), the day-to-day lessons require almost no preparation. With the lessons being scripted, I can just read what is written and I don't have to think at all about how to present the material. Or once I get used to it, I can glance at what we are doing and just use my own words. Trina has the chance to manipulate stuff. There is lots and lots for her to handle... the tiles (her favorite activity is a change the word game), the cards, and a lot of activity pages. The activity pages have a variety of ways of presenting material... so we might play Bingo with letter sounds, or "feed" monkeys the bananas that rhyme with their name. In addition to reading stories, the lessons include fluency practice pages that are phenomenal. These include single words, phrases, and sentences. It is so important for kids to be working on reading words in isolation, not just in context. The progress chart in the front of the book is fairly gender-neutral. Not that my tomboy little girl cares, but my boys would not have liked something too pretty. And All About Reading continues to emphasize the importance of read-aloud time. That is something I'm passionate about. There isn't necessarily a typical lesson, but I'll briefly walk through lesson 16 (of 49) which is where 'th' is introduced. The first page is instructions for me... I know exactly what materials I'll need, and I'm told to listen to the /th/ sounds on the phonogram CD-ROM. This particular lesson gives a fair amount of information to me, so I needed to spend 3-4 minutes getting ready instead of my usual 1-2 minutes. I'm also told which new letter tiles I need. Every lesson (except the first, obviously) starts with us reviewing the cards from previous lessons. Then we teach new sounds -- in this case, both the voiced and unvoiced sounds of /th/. Next we get to do an activity sheet, and this one is adorable. I cut out the black and white drawings of over-easy eggs. Trina HAD to color the yolks. You put the "eggs" into a pan, and Trina gets to use a spatula to flip them over. If she correctly reads the word on the back, she put it on a plate for Ziggy the Zebra (which we have from Level Pre-1... and this part was us ad-libbing a bit) or if she can't, it goes back in the pan. Then we practice with new words on the flash cards... followed by a fluency page, which I described above. Actually it is two pages. 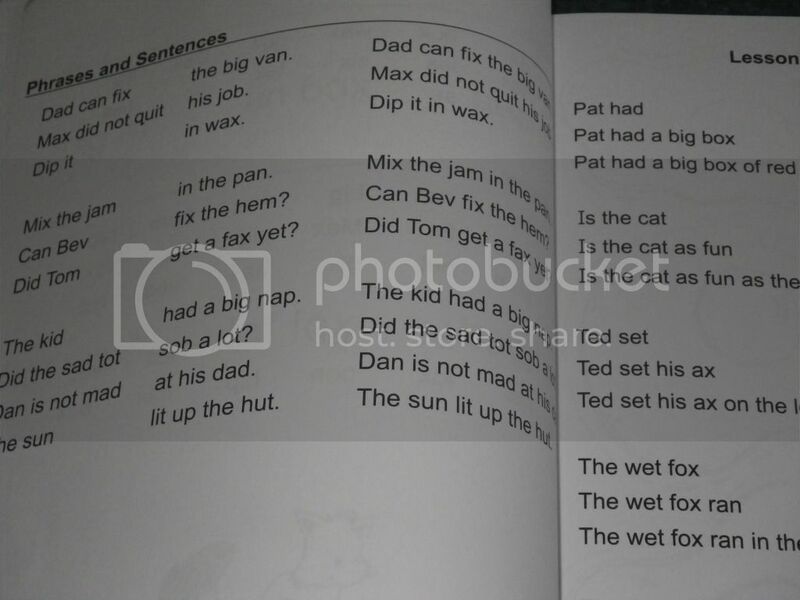 The fluency pages shown above are actually from lesson 14. There are grey boxes with tips for the teachers periodically. For this lesson, there are a few paragraphs on "Avoid Making Corrections Too Soon." Each lesson ends with read-aloud time, and marking off the progress chart. How long does a lesson take? Well, that depends on the child. The first lessons we were able to easily complete in one sitting. Recently, we've been taking two days for most of them, but spreading it out over a longer time period would be completely okay too. I would NOT try to use this with a child who hadn't hit that point where they are grasping the idea of blending sounds to make words. You could... but I think it would be better to play with sounds (or do Level Pre-1!) for another month or two as it will go so much better when they are ready. At least it did here. The timing was PERFECT for Trina. So a word about the cost... because I really hesitated about that. If you are using All About Spelling, you really only need the Level 1 Kit. That runs $99.95 right now. Most of that is non-consumable, so you can use it with multiple children. 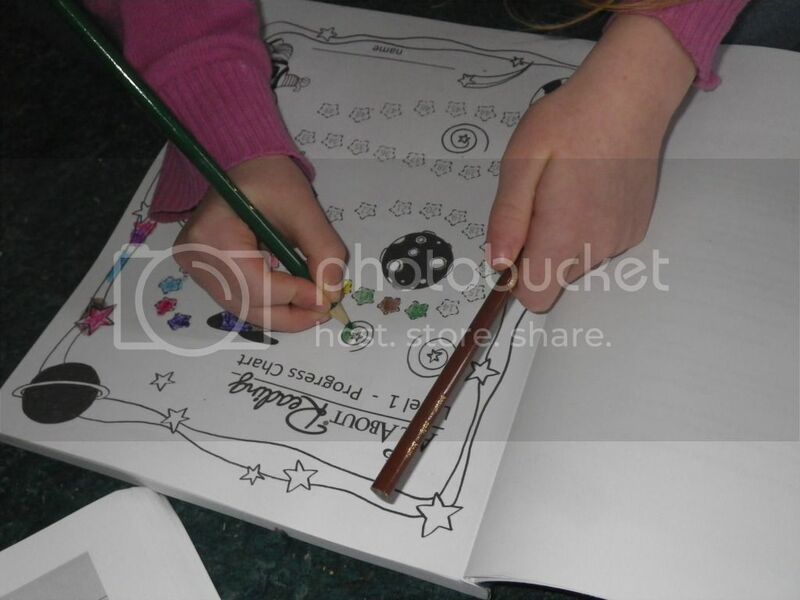 And these are quality materials, like absolutely everything that All About Learning puts out.. I do believe this is a fantastic value, especially for anyone with more than one child who can use them. My only complaint is that this wasn't available eight years ago. This would have been even better for my struggling readers, though they would have moved through it at a slower pace. Disclaimer: I did receive the products mentioned in this post for the purpose of a review. All opinions are my own. For more about my take on reviews, visit my blog post here.